I used to have this thing - this figment of my imagination, really - that writing came about as the result of a hard-fought bargain between the author and the Muses. The artist suffered, and the Muse afforded him (or her) the inspiration to create the timeless pieces that we so cherish. So it's easy enough to imagine a blind Homer begging through the streets of ancient Greece, reciting in exchange for a few coppers the poem that Wolfgang Peterson spent $225 million on desecrating in 2004. One nods and smiles with understanding at the thought of Cervantes writing Don Quixote while rotting in a Spanish gaol. And of course, Dostoevsky writing the sanity-killing prose that he wrote while on the run from his creditors seems like pretty much the done thing, really. The contract changes over time, of course. No longer can we claim that suffering of the conventional type is needed to be a great writer. Most of their ilk are drawn from the middle class now, of course, but it’s still difficult for me, middle class as I am, to avoid comparing their writing to the classics we grew up on. 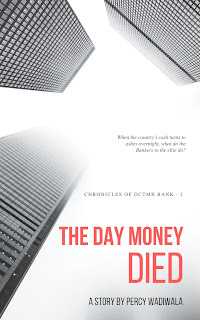 Which brings us to the most recent trend of Bankers-turned-writers, which seems to be a uniquely Indian phenomenon. Now if one classifies these ‘uniquely Indian phenomenon’s I suppose our cooking would rank somewhere near the top and our lack of public hygiene somewhere near the bottom. This particular trend, though, veers closer to the latter than the former. A few years ago, I was recommended, and read, something called as the Shiva Trilogy by Amish Tripathi. My initial reaction was to dismiss it as tripe. It is full of cringe-inducing text that makes me wonder if there was any Editor involved at all. There are clichés aplenty. 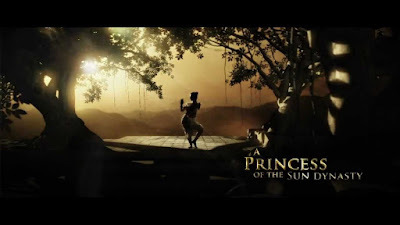 The setting is supposed to be some form of ancient India (Harappa and Mohenjodaro, essentially), but lacks the immersion level that should be the hallmark of good historical or fantasy writing. Large sections read like extracts from poor Game of Thrones / Lord of the Rings fanfiction. Which is really tragic, because Mr.Tripathi's story, his concept, is nothing short of brilliant. This is a story (at least the first two-and-a-half books, because the ending is a massive cop-out) that George RR Martin would have made into epic tragedy (though to be fair he would have taken twenty years and 5,000 pages to tell it). JRR Tolkein would have woven it into a saga of hope and doom that could have stood the test of time. Raymond Feist or Stephen King would have made it a story of rare brilliance too, while keeping it accessible to the general reader. Instead, we have trite storytelling, repetitions, plot twists that are either so obvious they aren't twists at all, or so ridiculous that they induce pained groans. To give credit where credit is due, Mr. Tripathi manages his action well. Fights make sense. Even the large battles can be pictured by the reader. There are even moments which almost arouse an emotional response in the reader. "Shot like an arrow, Shiva’s voice made Kali, Sati, Gopal and Chenardhwaj look up too, worry creasing their faces. Shiva’s army had marched in quickly from Lothal and was just a day away from Mrittikavati." At times, the only thing I was felt was lacking was the use of management acronyms like SPOC and ETA or EOD to make the cringe-worthiness complete. I’d have to re-open the books to give more, though, and I won’t be doing that any time soon. The story tells us about the life and times of Shiva, a Tibetan tribal chief (it doesn’t really explain why someone of his relative youth became the chief, but that’s all right) who leads his people across the valleys of Kashmir to the Kingdom of Meluha. Don’t expect the tale of the crossing to be written very well. Nothing in this book is. But in order to appease those of you who do like evocative reads about great crossings, please go through Tolkein, whose account of the crossing of the Elves from Valinor to Middle Earth is told in a mere three paragraphs, but is magnificent nonetheless. What follows is a tale of intrigue, action and revenge that takes us from Meluha to Swadeep (the rival kingdom), and from there to the Forest kingdom of the Nagas, Dandak. Along the way he picks up a number of friends and allies and a family because…well, he’s rather awesome, and he has this blue throat (yes, really). 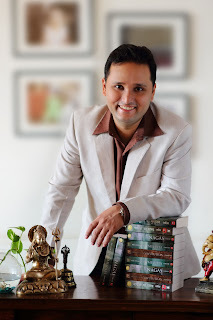 At one point, the number of characters accompanying our hero expands to such an extent that we have lines that I can safely paraphrase as: Shiva, Nandi, Sati, Kali, Ganesha, Karthik, Kritika, Chenardhwaj, Veerbhadra, Bhagirath, Anandmayi, Parvateshwar, Ayruvati and Daksha entered the palace. The story revolves around something called the somras, which is as Deus Ex Machina as one can get if one starts Deus Ex-ing. It’s bad but then it’s good and then it’s bad again and everyone is pretty much confused about what it is really. Somewhere out of this confused narrative we reach the narrative of a war, which is where things become slightly tolerable (perhaps because by this time our main character is off on a secret mission to Babylon). But then it veers to the WTF ending and one is left with a headache (from reading all the bad prose) and a sense of discontent because somewhere in that, like the proverbial needle in the haystack, you know there’s a narrative that deserved to be told. The thing is, a great narrative is a work of art, carefully layered and lovingly executed, while Shiva is about as much a work of art as Prem Ratan Dhan Payo. This means that we are told everything, rather than shown it. So, you know Sati is beautiful because he said so, and Parvateshwar is a great general because he said so, and…well after a while, one is tempted to ask why Shiva is given any importance either. So poor is the character development that it’s impossible to really care what happens to them. We readers love our heroes. We love Aragorn because he throws himself into the line of fire to protect the hobbits, because he leads his forces from the front. We love (well most of us do) Jon Snow because he’s really an ordinary guy trying to do what’s right in a world that doesn’t give a damn. 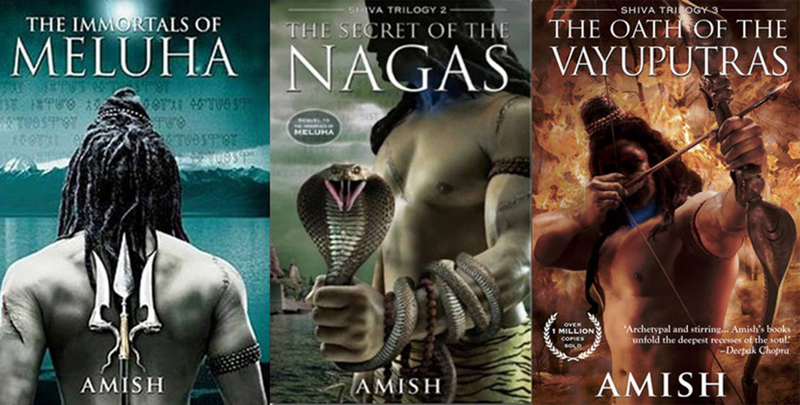 When it comes to the protagonist of the Shiva trilogy, it was very difficult to care one way or the other. In the end, it’s all moot. The books are flying off the shelves, and Mr. Tripathi has made his fortune. Perhaps this is the level at which one needs to write to get sold nowadays. In a way it’s all Bollywood isn’t it? It doesn’t matter if our actors can act, as long as they give what the audience craves – Aamir being the elfin rogue, SRK the eternal lover with his arms wide open and Salman being…well, Salman. The Shiva Trilogy reads like a drunk Alexandere Dumas gave an idea to a sixth-standard student who wrote it and had his father, a Company Secretary, edit it while taking minutes to the monthly review meeting.